I'm sorry, I know I haven't posted in a while but I've been really sick for the past week. Apparently pollen can really take a number on you, but I'm back in action! 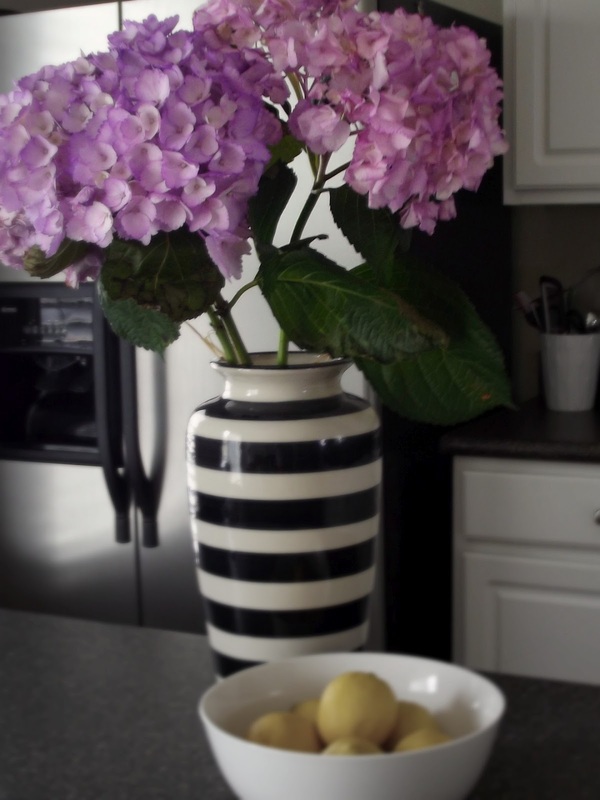 In order to spruce things about around here I bought hydrangeas in a purple/pink color, I figured it was also a nice way to welcome in Spring (which I was so ready for). Boredom struck while I was home sick so I decided to do some spring-cleaning and to my surprise I found my wedding day jewelry which bought back great memories! Now I'm thinking of sharing pictures of my wedding day with you guys in a later post.